Bürki (r.) has kept three clean sheets against Bayern since joining Dortmund from Freiburg in the summer of 2015. After a successful Bundesliga World Tour in which they beat Urawa Red Diamonds and AC Milan, Borussia Dortmund are back in Europe plotting how to overthrow Bayern Munich – first in the DFL Supercup and then the Bundesliga season beyond. 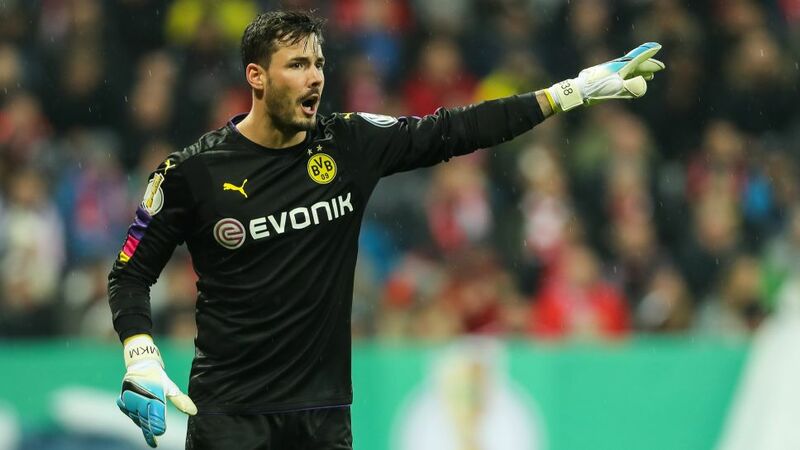 Question: Roman Bürki, last season, Dortmund lost three major players [Mats Hummels, Ilkay Gündogan and Henrikh Mkhitaryan]. This year the club have held the squad together and added some players. How important is that given the arrival of a new coach? Roman Bürki: Simply playing in a new system makes it important that we’ve all stayed together. The new players have gelled with us straight away. This hasn’t been a problem at all. When a team has been together for some time it means you can freely exchange opinions too. This is very important. Question: Bayern, meanwhile, lost two of their top performers in Philipp Lahm and Xabi Alonso. How close can Die Schwarzgelben run Bayern this season? Bürki: I hope we can close the distance on them. We’ll have a good idea on 5 August when we play them in the Supercup. We want to be challenging them. Question: Dortmund lacked some consistency last season. You lost to some teams in the lower half of the table and conceded some unnecessary goals. How can you improve upon this? Bürki: We’re working hard to be more consistent. If we can avoid injury and every single player knows their role, then we’ll surely have more consistency in our game. Question: You’re now in your third season at Dortmund, and you have looked more and more sure of your role in the team. Where do you want to improve? Bürki: It was easy to come here at first. I wanted to come to Dortmund and show everyone what I could do. Often my job is to keep it simple, though. Sometimes I've lost concentration, but I’ve learned to be calmer since I got here. As a goalkeeper it helps to radiate calm to the whole team. Of course I’ll still sometimes take a risk. That’s what the coach wants. I’m looking forward to the new season.